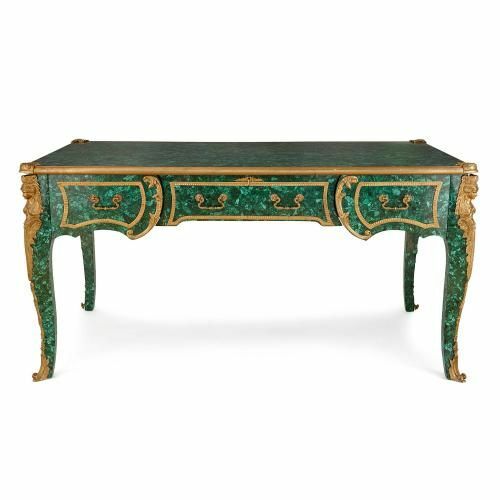 This splendid and vibrant French desk, also known as a bureau plat, has been opulently finished in the luxurious and rich green gemstone malachite. 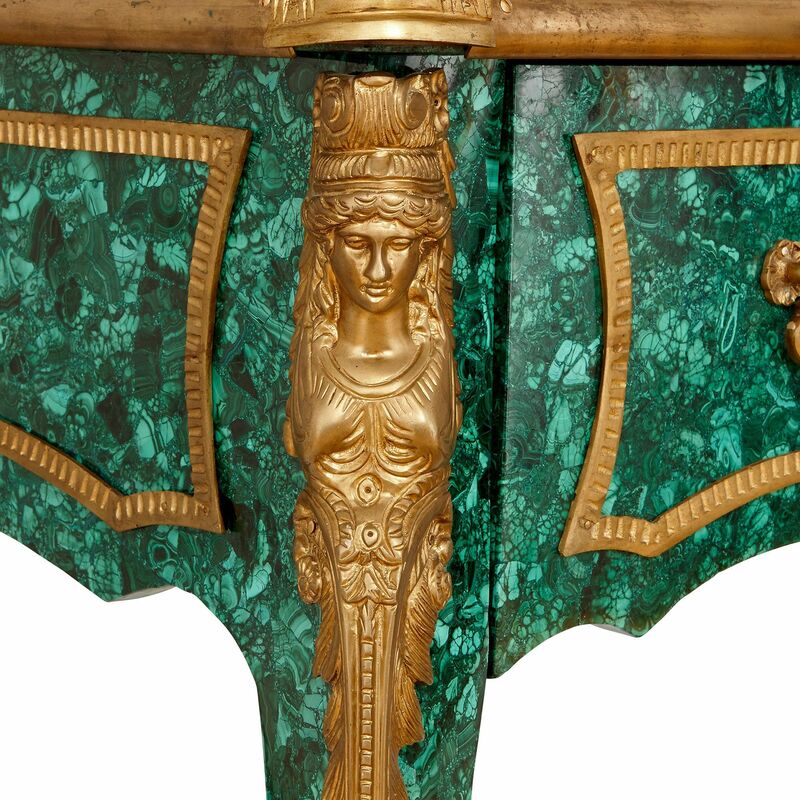 Every element of this fantastic bureau speaks of luxury, from the fantastic gilt bronze mounts to the beautiful malachite veneer. 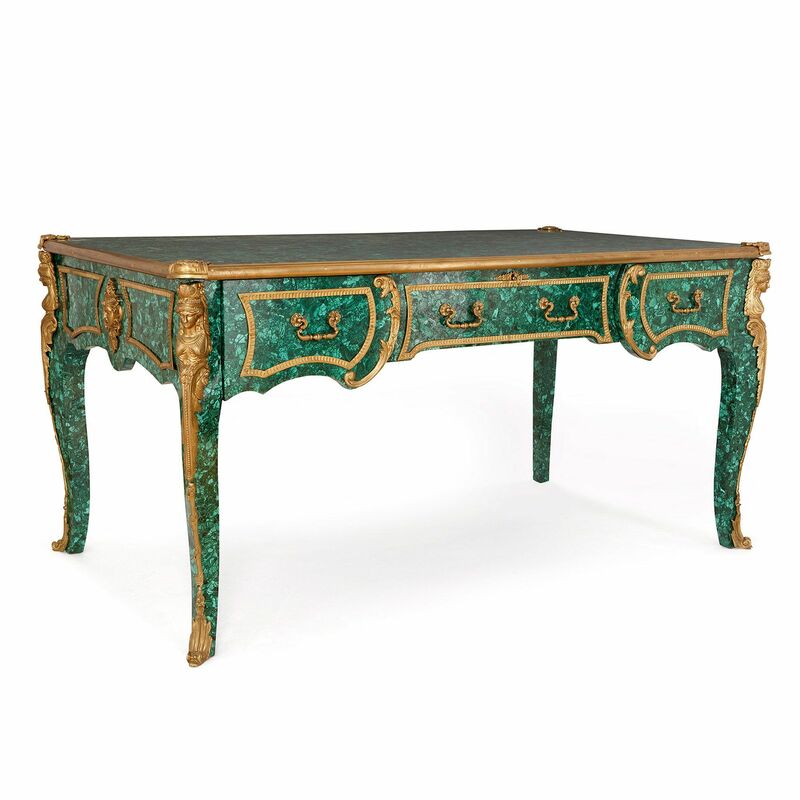 Measuring over one and a half metres wide, this is a bold, glamorous statement piece for only the finest luxury homes, studies and libraries. 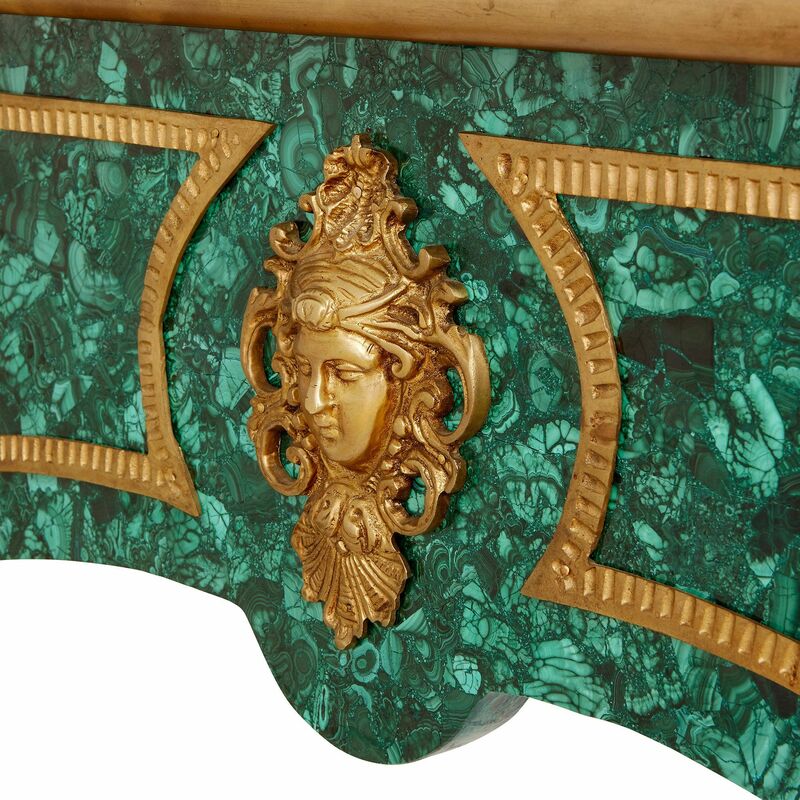 The desk is rectangular in shape and supported by four cabriole legs, each of which is mounted at its top with an ormolu Classical style female bust which leads to an acanthus leaf form sabot. 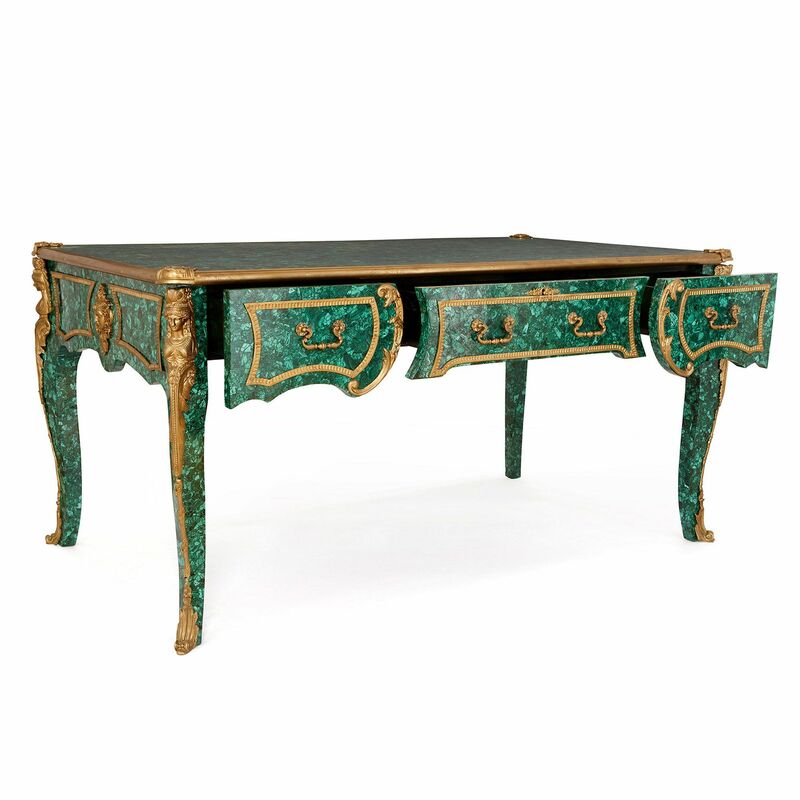 There are three drawers at the front of the desk: a large central drawer with two smaller drawers at either side. 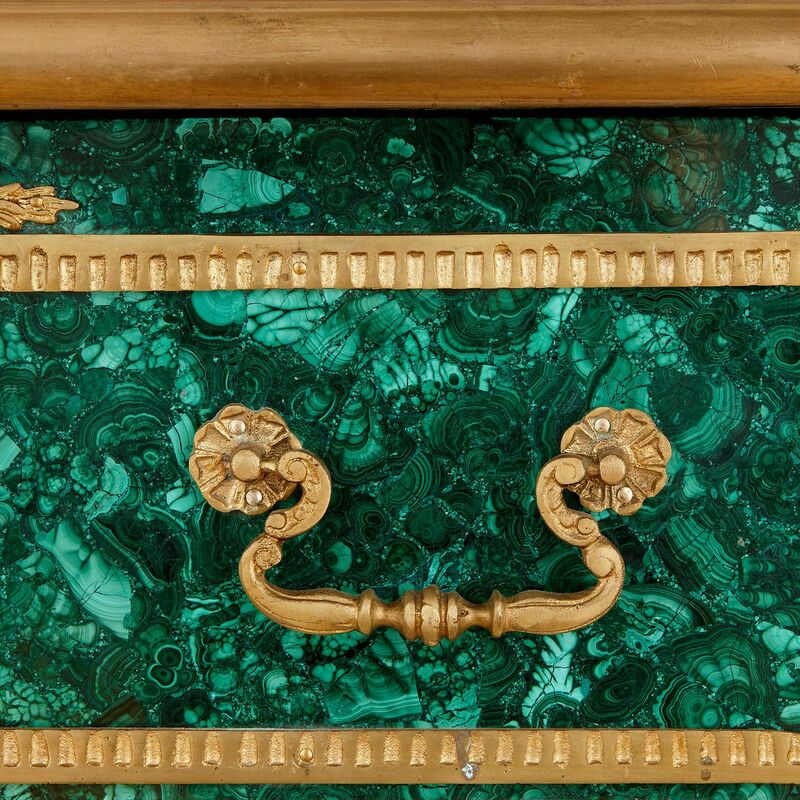 The two side drawers are elegantly curved in shape, and mounted on their inner side with a scrolling gilt bronze acanthus motif. Each side of the desk features further ormolu mounts, including Classical masks, and there is a gilt bronze band around the table top, which is otherwise veneered completely in malachite.